Questions in the Grab Bag category. What can I do with wheat starch? How to get a hotel to reimburse me for lost items? One bag to rule them all! Please help me find coffee mugs for fake colleges and universities. 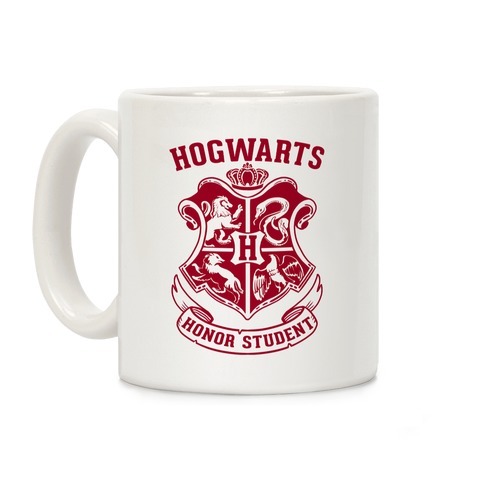 I'm looking for otherwise normal looking mugs, ideally highlighting a place from media or popular culture, like this one from Hogwarts. I'm not looking for parodies of real institutions, like this one for Harvard Law. Subtler is better, as this is for a long-term practical joke. What do you recommend? 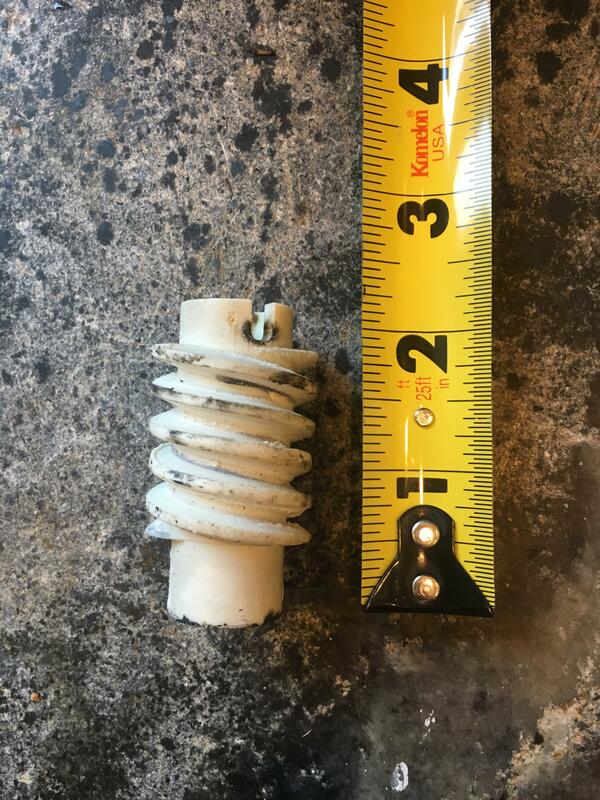 What is this short threaded tube I found in my garage? While cleaning up my garage today, I found a short white plastic threaded tube hiding in a pile of leaves. Here's a photo. It's about 2 inches long and has a slot at the top that looks like it's intended to receive a rod that could be used to adjust the screw. It has a little bit of white grease on it and a few black smudges. Any idea what it is? Help me summon unicorn and dragon magic! My kiddo will be turning 3 soon. We're planning on a laid-back party: grilling out at a city park and inviting other kiddos and parents. The kiddo is really into both unicorns and dragons right now. Help me brainstorm several inexpensive ideas for incorporating dragons & unicorns into the celebration. What is this thing (furniture?) seen at a thrift store? In a hot mug of liquid, is the liquid at the top hotter or cooler than the liquid at the bottom? What is on fire right now in Chicago? From my Chicago window, I can see a huge plume of smoke rising from, I think, a fire. It looks like it's in Bucktown maybe. Is there any way to find out what's going on? I already tried checking major news sites.